If you live in Bakersfield, Ca make sure to swing through the Sunday Sessions. The guys from 661fixed meet up around 10am at the Chase Parking Garage to practice some tricks and then go for a group ride afterwards. Sounds like a good way to spend a Sunday. 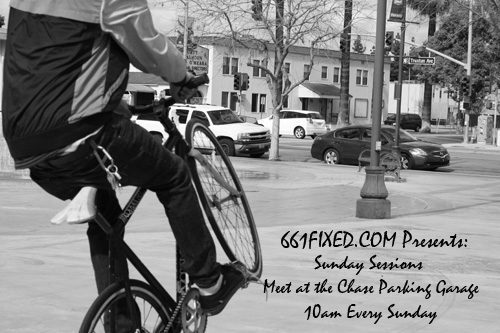 For details and updates, hit up 661Fixed.com.